Welcome to our stop on Journey's End tour for Rachel Hawkins. This tour is hosted by PenguinTeen. On Writing MG vs. YA: Why MG? And how is it different than writing YA? It’s like writing with oven mitts on. That was what I kept telling anyone who asked me about writing my first MG book, Journey’s End. My agent, my editor, my friends- it was my go-to response. 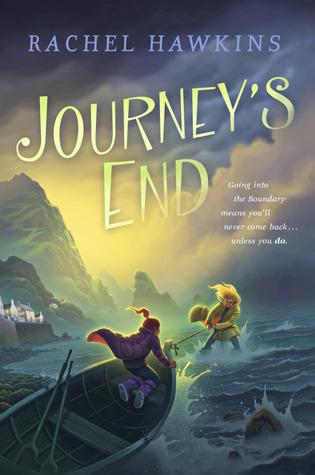 By the time I wrote Journey’s End, I had written 7 YA novels, and while none of those had been what I’d call easy, I was always pretty sure of what I was doing. Kissing, snark, explosions, maybe swords...that was my wheelhouse. So writing this book about kids in Scotland- kids who could not make out with or stab anybody- was almost like starting over in a way. But then a weird thing happened. Because I felt like I had no idea what I was doing, I also felt… free. Scared, but also willing to take bigger risks, to dive deeper. So no one could make out or commit crimes. What could I do? Talk about those friendships we make when we’re young, the ones that feel like a different kind of falling in love? Dig into all those family relationship that my YA characters were usually trying to dodge (parents are a real buzzkill when you’re trying to save the world via dark magic.) Heck, I could write the whole thing in third person POV, and no one could stop me! 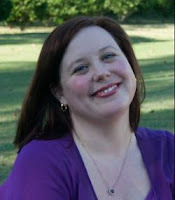 It was scary, trying something new, but in the end, it made me a better author in every way. I feel like changing genres made me rethink some thing, made me work a little harder, and in the end, made a book that I’m really, really proud of. Bring on the oven mitts!